The man they called the ‘Tin Opener’ proved to be an exceptional goalscorer in his six seasons at the club, playing delightful football and always giving it everything he possibly could. In his time at the club, he was one of the most popular members of the squad, and was the team’s top goalscorer for three years in a row (1956-57, 1957-58 and 1959-60). This forward also won the honour of being the first player to ever score at the Camp Nou, specifically in the inaugural match played against a Warsaw select team on September 24, 1957. 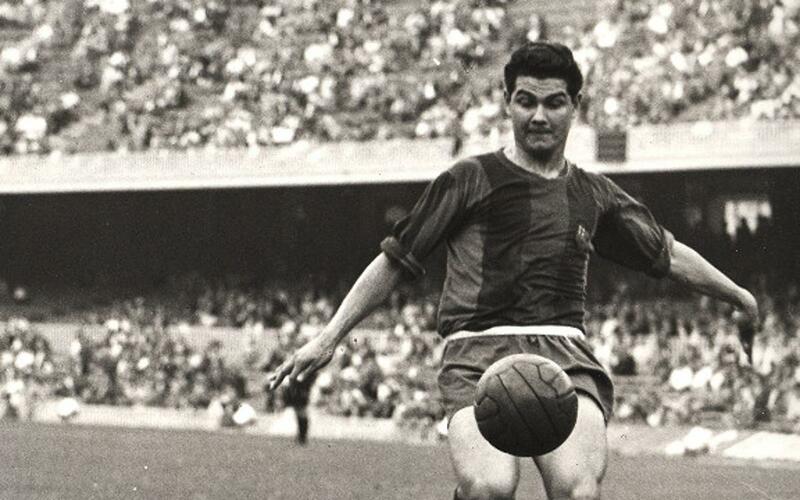 He is also famous for his amazing display in the Spanish Cup round of sixteen match in 1956-57 in which Barça thumped Atlético Madrid 8-1 and the Paraguayan born player scored no fewer than seven goals. The club’s new signing Evaristo, the Brazilian who was set to compete with Eulogio for the centre forward position, said after the match that: “With a striker like that, I have no idea why you have signed me, perhaps you need somebody to sweep the dressing room”. But the two strikers ended up understanding each other to perfection, and formed one of the most lethal attacking partnerships ever to play for the club.